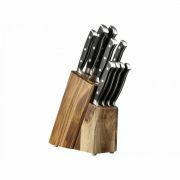 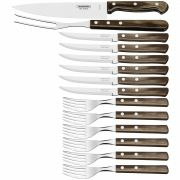 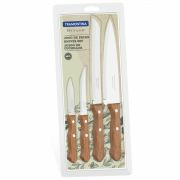 Steak Knives - View our range of Steak Knives here at Anthony Ryans cookware shop, offering excellent quality Steak Knives to suit your needs. A steak knife is one of the few sharp knives you would find at the kitchen/dining table. 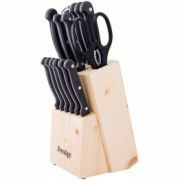 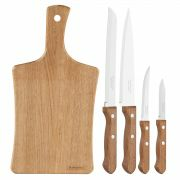 Usually small, serrated and sometimes having a wooden handle. 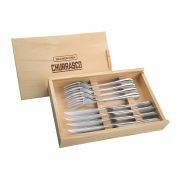 A steak knife should be robust, strong and super sharp for the slicing it has to do, generally on a hard surfaces like stoneware and china tableware. 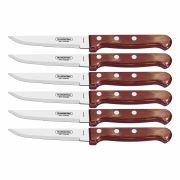 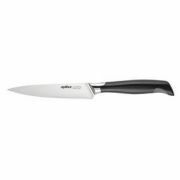 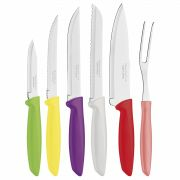 A steak knife will make any meat dish, cooked chickens, baked hams, easier to enjoy taking the tough work out of slicing your main meal.